The Rundown: Yep, there sure are a bunch of Star Trek games hitting right now. 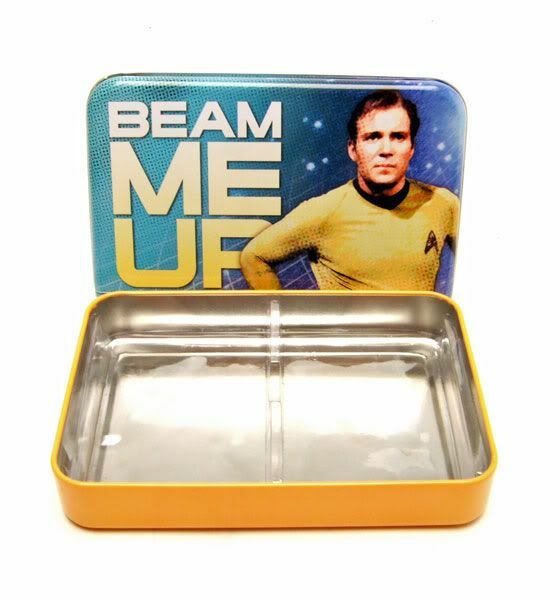 Some are really fun (like the Star Trek Uno game I spotlighted recently)....others not so much. 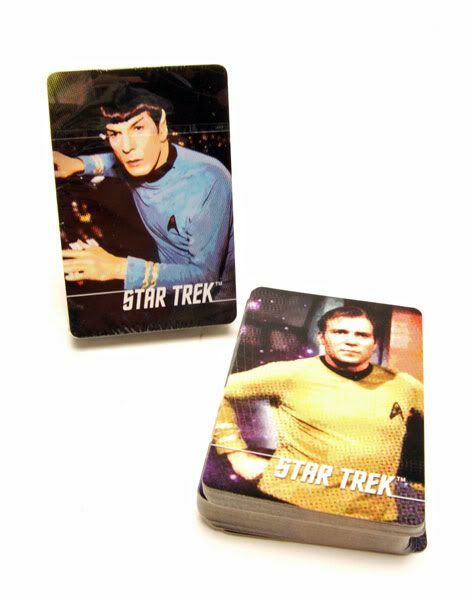 This playing card set falls into the latter category. I was pretty excited when I saw this solicited in Previews magazine. I was really hoping for a nice, unique set of playing cards. Yeah, that's not what you get. 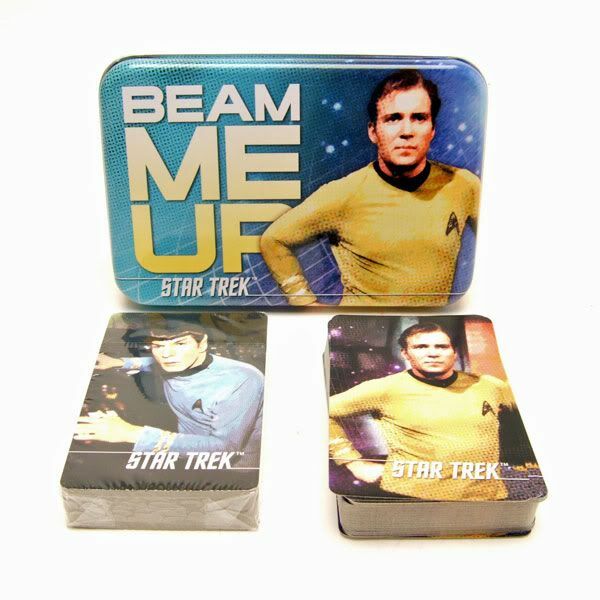 Inside the tin are 2 decks of cards, one with Spock on the back, one with Kirk. They both have the same 'dot-matrixy' look to the pic. 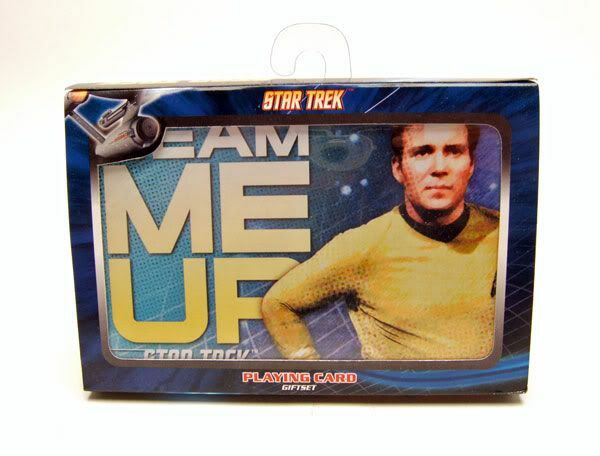 I opened up the Kirk pack to see what kinda cool pics and stuff they did to the card faces and.....nothing. They are just standard playing card faces!?!? That's it! I didn't bother to take a pic since everyone in the world knows what playing cards look like.